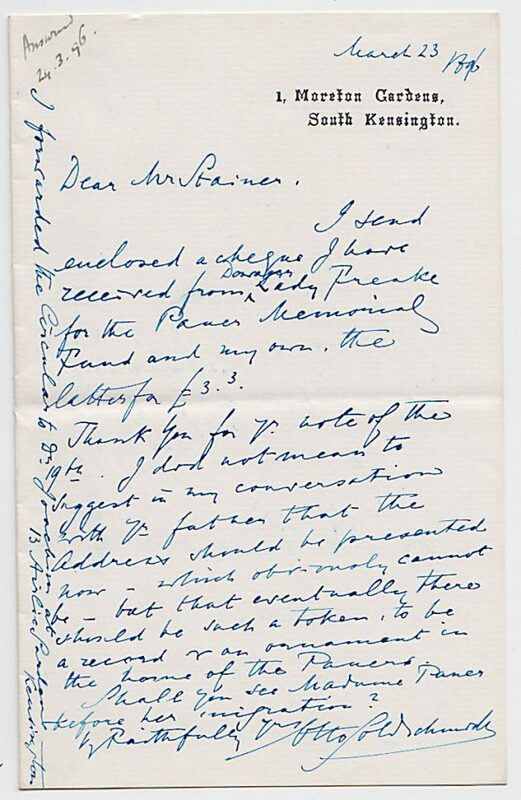 Autograph Letter Signed, to Mr. Stainer, sending a cheque, discussing the presentation of an Address, saying a circular has been forwarded to Dr. Joachim. A good one page example, 7 x 4½ inches. 1 Moreton Gardens, 23 March 1896. Otto Goldschmidt (1829-1907), pianist, composer and conductor, first conductor of the Bach Choir.